University of Lynchburg will host Dr. Charles Knapp for a discussion about the Lynchburg-born World War II hero Desmond Doss and the making of the movie “Hacksaw Ridge” on Monday, April 16, at 7 p.m. in Hall Campus Center’s Memorial Ballroom. The lecture, titled, “A Lynchburg Hero Becomes a Legend,” is free and open to the public. His visit to University of Lynchburg will be the first public address he has given in Doss’s hometown. While Hacksaw Ridge was being filmed, Dr. Knapp visited the filming location as a representative of the Doss Council. He had numerous conversations with director Mel Gibson, producer Bill Mechanic, and many key members of the cast, including Andrew Garfield who portrayed Doss. 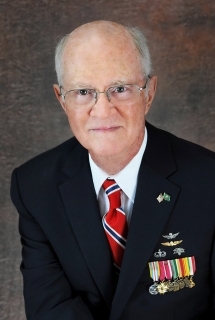 Doss enlisted in the Army in 1942, but he refused to kill or carry a weapon into combat because of his personal beliefs as a Seventh-day Adventist. He then became an Army combat medic and served in the Pacific Ocean Theater of WWII. 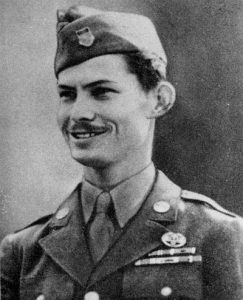 Doss rescued at least 75 people during the American’s attempt to capture Hacksaw Ridge, earning the Congressional Medal of Honor. In addition to his Medal of Honor, Doss received a number of other honors including a Purple Heart with two Oak Leaf clusters, and a Bronze Star for valor with one Oak Leaf cluster.